Comfy spot in the cockpit. Eyeing off Yosh down the beach, ready to chase! 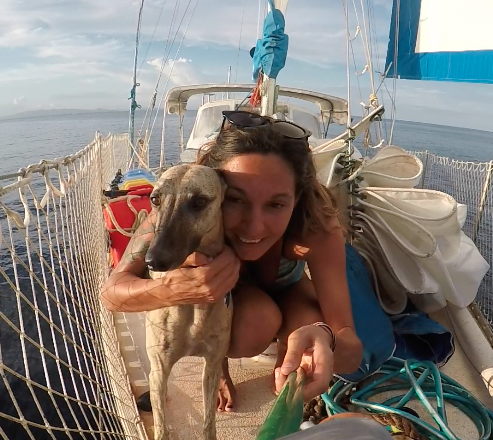 What is it like sailing with a dog? Is it as hard as it sounds? Is it worth it? I read a blog today about sailing with a dog by someone who didn't even have a dog nor who had ever sailed with a dog and thought.. this is crazy.. I have to share our actual experience! 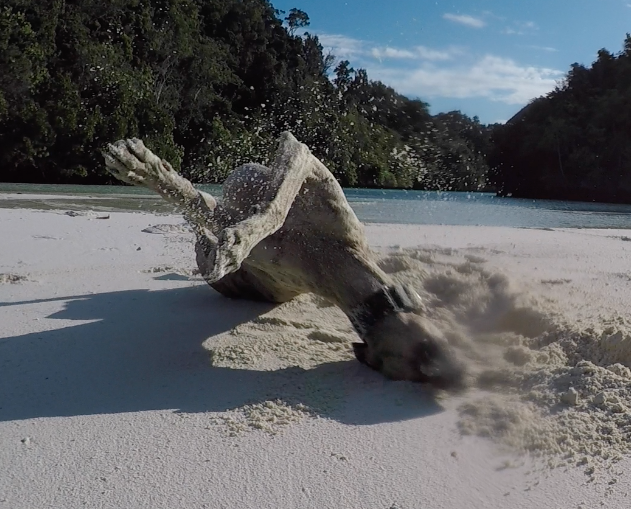 So far we have cruised through Solomon Islands, Papua New Guinea & Indonesia with Marley. 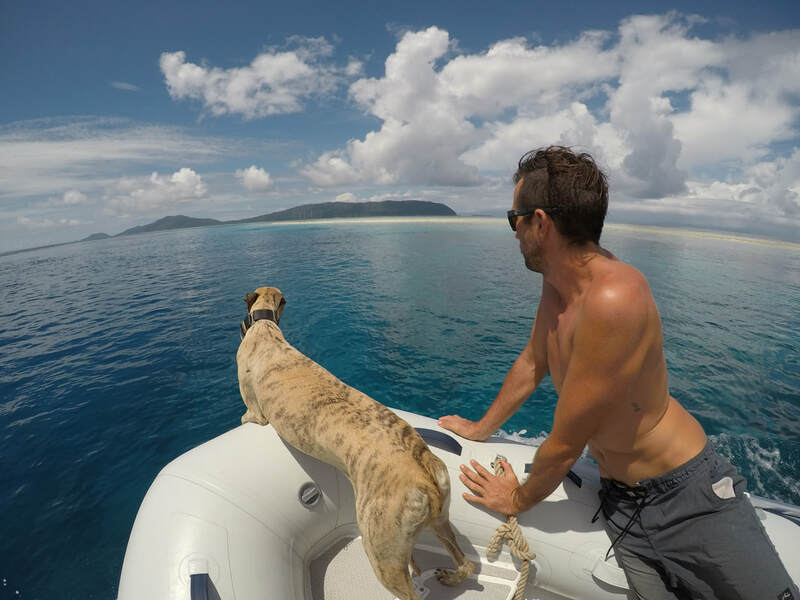 I hope to shed some light on the topic and provide information about travelling offshore with a dog from Australia. 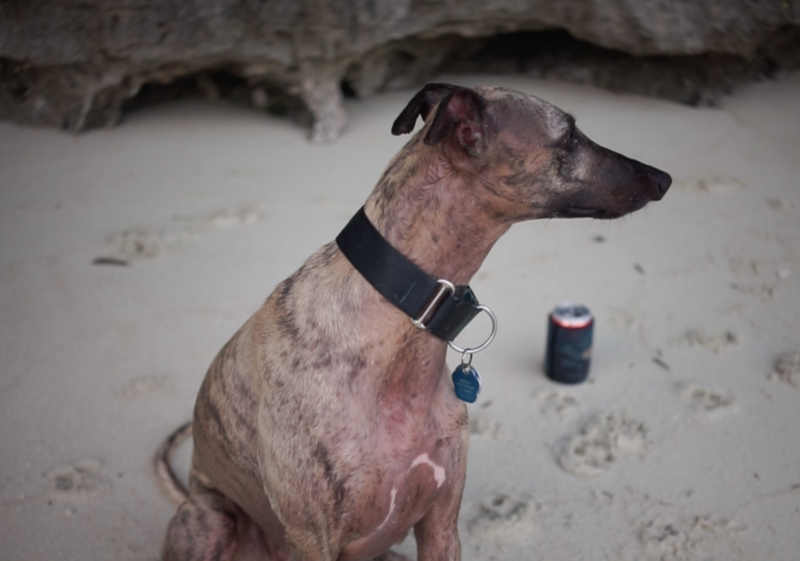 Marley is our five year old Whippet that we have raised since a puppy. He is different than most dogs as he has never lived locked up in a back yard and spent his early years travelling Australia with us in a bus. Ever since a pup, he has been by our side and the few times we have put him in a backyard were an absolute disaster. He was raised around the ocean and in boats as we spent all our free-time at the beach and in our tinny. 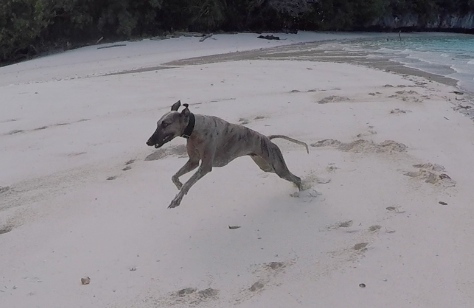 He's grown up with confidence around the water and I think this has helped a great deal in his ability to adapt to living on the water as whippets are not known for their aquatic prowess. 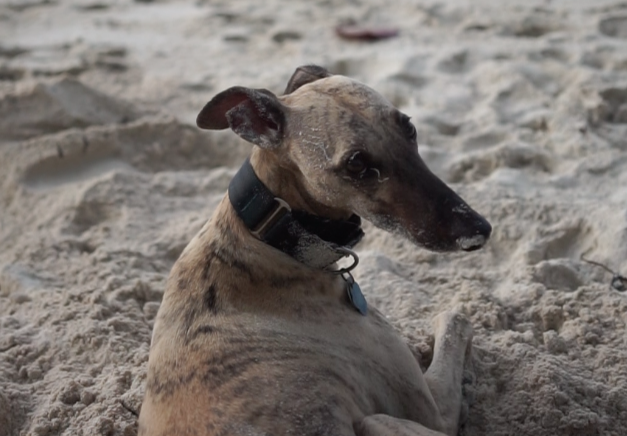 Whippets are an affectionate dog by nature and are happiest when they are with you. Many people mistake the look of them for a dog that is extremely active. We have found him to have bursts of energy that last about 30 minutes and then he just wants to sit in a comfy spot for a few hours. This has made him an ideal dog for travelling. We call it Flat out or fast asleep! He has short hair for easy maintenance and to help keep him cool in the tropical weather. Lifejacket goes on before setting sail. Netting around the boat where possible. Must be supervised when he goes up on the bow. Know where he is at all times. At night and in rough conditions we tie him into the cockpit. If its too rough he sleeps in our bed with one of us not on watch. (loves it) He is allowed on the bed whilst at sea, which helps him feel like he is boss. Marley is a really relaxed dog, he doesn't bark or fret and there have been times when its blowing over 30 knots with lightening and he's fast asleep. Marley has an unusual shape for dog life jackets but we found one by Ezy Dog which is completely adjustable. 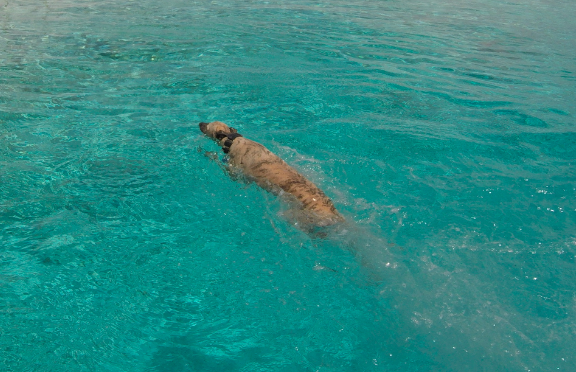 This dosn't happen very often but If we ever go to land without Marley, we take him for a run before hand, give him a treat to chew on and take him for a huge run as soon as we get back to the boat. We do this EVERY time he is left on the boat alone. This has been huge for us as Marley is use to always being by our side and was starting to jump off the boat and swim after us. He now sits comfortably in the cockpit and waits for us to return, its been an absolute lifesaver letting us get food shopping and clearing in done knowing he's happy by himself. Start with a fake piece of grass and get the dog to urinate on it while on land. Transfer the grass to the bow and within a few days they should do their business on it. ​Overtime we got rid of the grass and he now goes on the bow in his special spot, where we hose it off and disinfect the area. 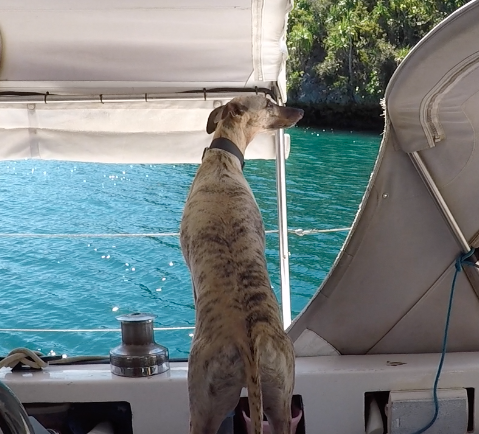 ​Marley is not allowed on the bow without our supervision while underway. We take him up on the bow roughly 3 times a day to stretch his legs, sniff around and do his business. If he needs to go, he also lets us know with an intense look and a little whine. He generally goes in the morning and in the night, it is just what he does. It takes him a little longer to go when its rough as he finds the right coordinates and balances with the roll of the boat. When its extremely rough, for safety, we wait for calmer weather which thankfully has not been long. Most people who don't live on a sailboat assume that we spend MOST of our time sailing which isn't the case. In the last 12 months we have sailed roughly 5000 nautical miles. This is roughly 50 days at sea which means for everyday spent at sea, we have spent a week on land. We sail to our desired destination and explore the days away. As Marley likes his routine we try to take him for a run first thing in the morning before we head out for our activities. We might go bushwalking, playing on the beach, snorkelling etc which he is always apart of. If he hasn't had a run on the beach in the morning it will happen in the afternoon after activities. Exporting and importing an animal from any country requires a great deal of patience, research and can be costly. 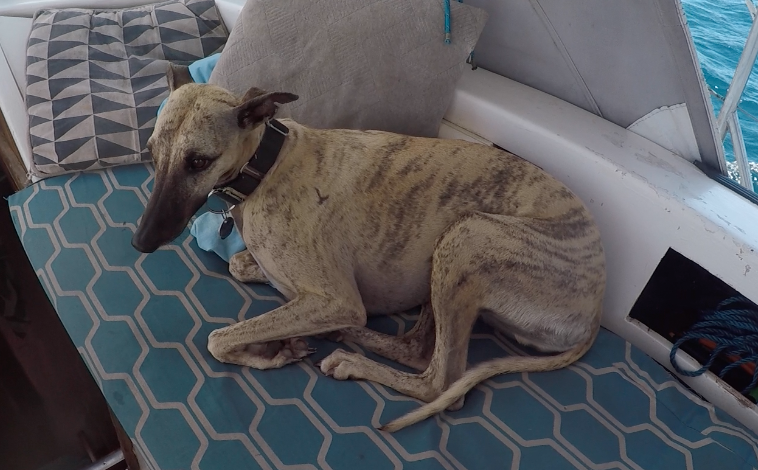 Every country has different regulations for the dog to enter so it pays to do your research before travelling to any country by sail boat. Almost every country will require an import permit for the dog. We suggest obtaining information for quarantine contacts and required paperwork from the respective countries embassy. All requirements should be met prior to travelling to the next country. Some countries are so strict, that if you enter without an import permit there is the possibility that the animal will not be allowed off the boat. If all requirements are not met the dog may need to spend time in quarantine. An extreme example: Periods of up to 6 months can apply for animals entering Australia without going through the right process so it really pays to plan ahead. The requirement information can be very challenging to find, but it is essential for the well being of your pet that you are organised. Before leaving Australia he was washed twice with an insecticide rinse and issued ear canal drops twice which was signed off by a registered export vet. ​It is reasonably easy to bring an Australian dog to neighbouring countries, bringing them back is going to be a lot harder and should be considered before departing with your fur-baby. 2. Those which are approved rabies-free countries and territories which require an import permit to be eligible for import to Australia. 3. Those which rabies is absent or well-controlled and animals from these countries require an import permit to be eligible for import to Australia. It is important to note that if you travel to countries in group 3, prior to returning to Australia, the dog must spend 6 months in a country from group 2. Failure to do so will result in the animal being held in quarantine for up to 6 months at your expense. An import permit will need to be arranged. Vet appointments will need to be arranged to meet the import requirements. Accommodation in the quarantine facility will need to be booked well in advance. There is only one facility in Australia which is in Melbourne so the dog may need to fly if you are not willing to sail there. The dog will need to spend at least 10 days in quarantine which is a minimum of $2000 each. 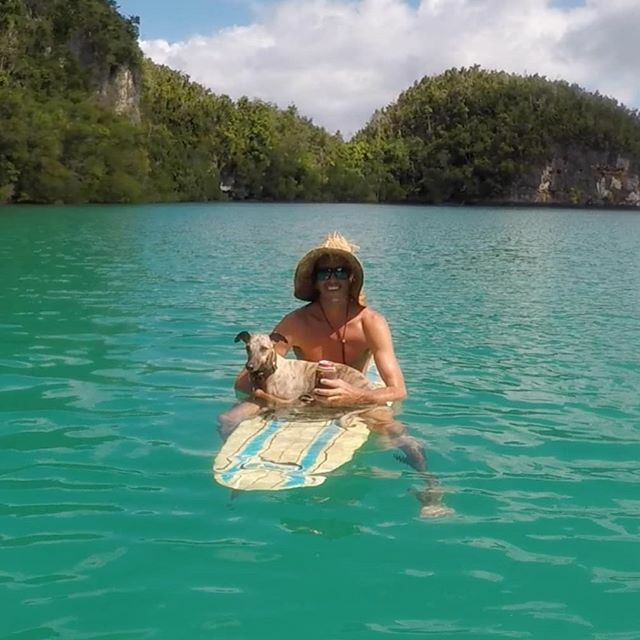 When we first decided to sail offshore and cross the Coral Sea to New Caledonia, we left Marley behind due to the fact of it being our first offshore passage. We wanted to minimise stress levels as much as we could and as outlined in the "returning to Australia" section, its not that easy to just sail home if for some reason we didn't like it. 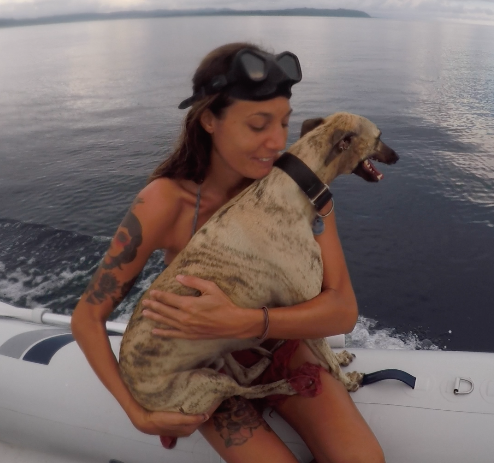 We organised with his carer and the pet transport company JetPets to have him flown to the Solomon Islands once we had established our capabilities and passion for offshore cruising. The process once in the Solomon Islands is a lot more relaxed than Australia, but it was important for us to meet Australian standards for future travel for Marley's return. A vet is meant to check over the animal upon arrival, but this was not the case in the Solomons as I do not think there is a vet in the Solomon Islands. It was an expensive exercise and all together the export fees from Australia and the import fees in the Solomon Islands totalled 3k. ​After you have cleared your dog into the country you are visiting, you need to prepare them to depart for the next country. Generally speaking, but this is different in all countries, your dog will need to have spent a minimum of 30 days in a country before being allowed into the next. From our experience through the pacific island nations, they are more than happy for you to leave with the dog and do not want to deal with you. However, it is utterly important that you receive a document from quarantine stating the animal is healthy and free of disease and better yet, if you can have a vet to issue a health certificate before departure as well as a note from quarantine. There are very few vets in these nations, but when you find one, do yourself a massive favour and obtain a health certificate. These little extra efforts on your outward clearance will help your next inward clearance tremendously. 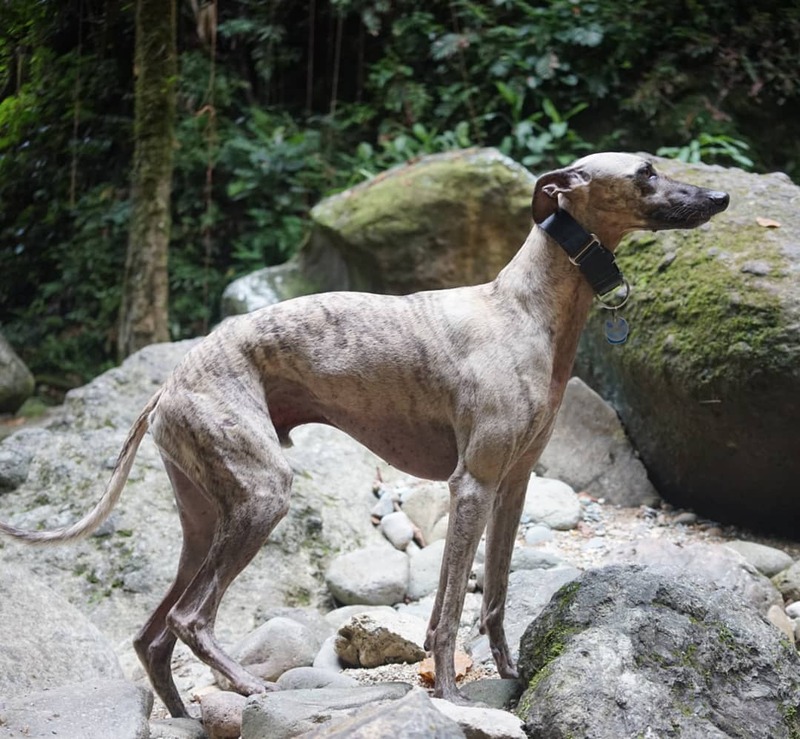 We are only beginning to scratch the surface of travelling in South East Asia with a dog, however this area is where you need to be very careful with your pet. There are many diseases amongst the local dogs and then in some areas, people are poor and eat dog. There are areas which have rabies so it is essential before entering the area that your dog is rabies vaccinated and then 30 days after the booster they receive a titer test to show that the vaccination has taken hold, also a blood sample for the vet to look after in case of need. This vaccination is good and recognised by officials for 2 years and Marley had his done prior to leaving Australia. Travelling into South East Asia and the rabies affected areas, makes life even more difficult to enter countries in the future. Not all of Indonesia is rabies affected and there are islands that are quarantined against any animals entering, for example Bali. It is important to not let your dog socialise with any of the local mutts as this is where they can pick up something nasty. It is also essential to have vet clearances from each port and as often as you can to make it easier for future countries to enter. As stated previously in "returning to Australia" Indonesia is in Quarantine category 3 which means that prior to entering Australia, we will need to sail to a category 2 country and spend 6 months there. Only then should we attempt to return to Australia where Marley will do a minimum of 10 days quarantine in Melbourne at around $2000. HOWEVER we do not wish to return to Australia anytime soon. Absolutely! We would do it again! It all sounds like a lot of work but once you have your head around the process, its not too bad. Marley is a huge part of our family and is worth every effort and cent that he demands. We feel he is a privilege to have with us and put in the effort everyday to make sure he's happy! Having him around makes our whole lives better and we feel he has the best life a dog could possibly have! Exploring new islands everyday, living the life off the lead!